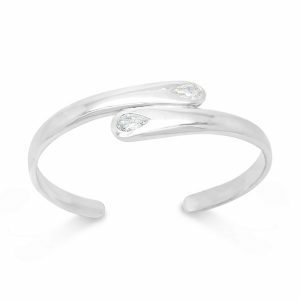 “Moi et Toi” means Me and You in French and refers to a ring, pendant, earrings or bangle that showcases two stones. 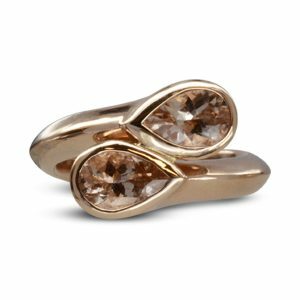 The rings were common engagement rings during the late 19th and early 20th centuries, symbolising two souls that are intertwined. 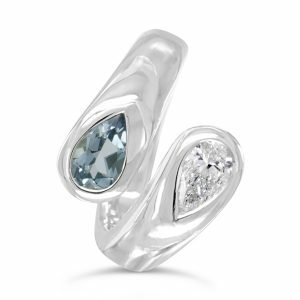 The ring that is believed to have started the trend was the gorgeous sapphire and diamond engagement ring Napoleon gave to Josephine in 1776. 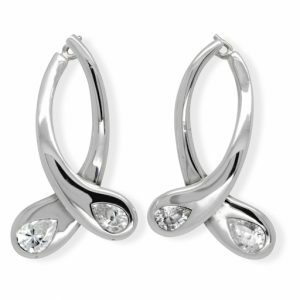 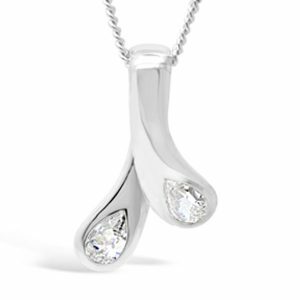 Our Moi et toi range incorporates faceted pear shaped diamonds set in platinum. 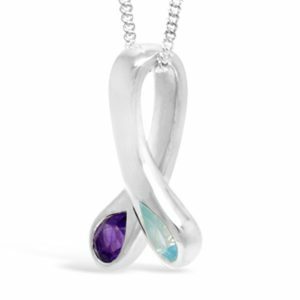 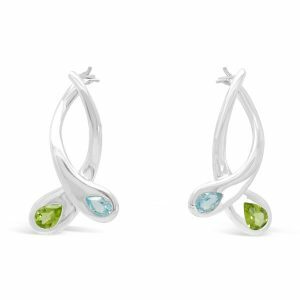 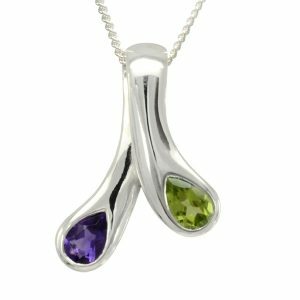 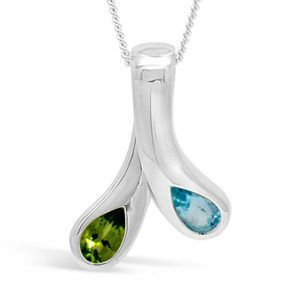 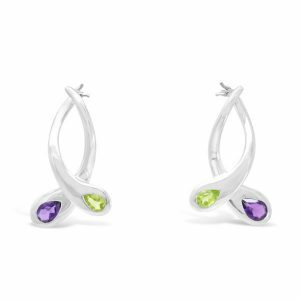 Semi precious stones such as amethyst, blue topaz and peridot set in silver. 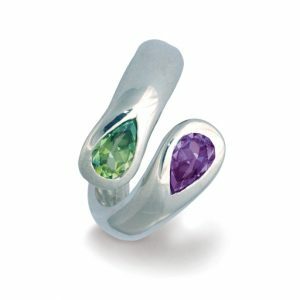 Commission a moi et toi ring. 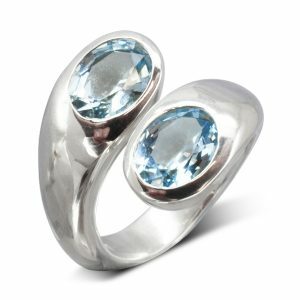 We can also use other stones and metals in your moi et toi ring. 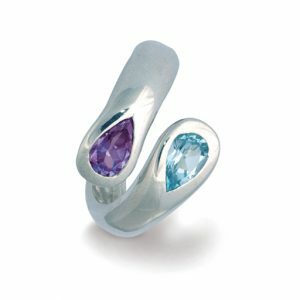 Diamond and sapphire in platinum, ruby in 18ct yellow gold both look fantastic. 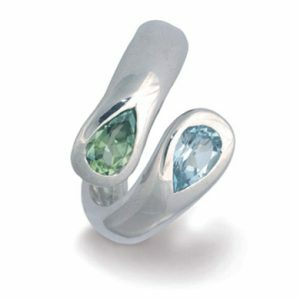 We can also design you a completely new style or re use you existing diamonds, gold and gemstones of any shape. 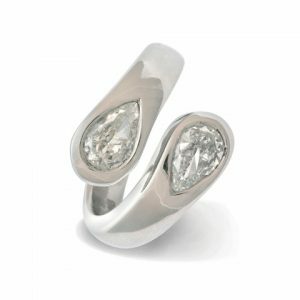 These rings also look great with a diamond pave finish.